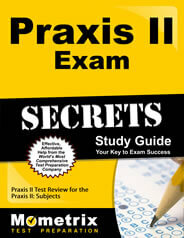 Praxis is a series of teacher certification exams designed and provided by the Educational Testing Service (ETS). Passing a Praxis exam tends to be required or at least encouraged in the duration of a teaching course and many states in the U.S. require Praxis exam completion in order to obtain teaching positions. The Praxis Art: Content and Analysis exam is specifically designed for those who are completing teacher training programs focused on becoming art teachers. Those who participate in the exam tend to already have a bachelor’s degree in art and/or art education. The test was designed around fundamental concepts in art making and the historical and theoretical background of art. How Can I Register for the Art: Content and Analysis Exam? Prospective participants in Praxis exams can register for their tests on the ETS website. When they register, they will be able to choose a testing location, date and time that works best for them. They will be expected to pay a $90 test fee. What Can I and Can I Not Bring With Me to My Content and Analysis in Art Exam from Praxis? In addition to bringing the printed copies of their selected art (discussed below) and admission ticket, participants in the Praxis Art: Content and Analysis exam will be expected to bring an acceptable and valid identification with their name, signature, and photograph. Participants in the exam are not permitted to bring their own pencils or erasers, calculators, phones, study materials, jewelry or other prohibited items. Are There Any Special Items I Have to Bring to the Praxis Art: Analysis and Content Exam? The Praxis Art: Content and Analysis exam is unique from other standardized teaching certification exams in that it includes images with some of its selected-response questions. And participants will be asked to write about two works of art that they have created in two different media. Before the test, participants will select four works that they are open to writing about and then scan or photograph each one, creating a JPEG to upload on their online Praxis accounts. They will also print a copy of each image. They must do so no more than three days before their testing appointment. What Specific Content Areas Appear on Praxis’ Art Content and Analysis Exam? Participants in the Praxis Art: Analysis and Content exam are given two hours to complete 85 selected-response questions and three constructed-response questions. It is a computer-based exam. How Can I Get a Passing Score on this Exam on Art Content and Analysis from Praxis? The Praxis Art: Analysis and Content exam is unique in many ways, yet it is a critical stepping stone toward a fruitful career in art education. Participants are encouraged to use study flashcards to memorize information that they can successfully reproduce on the exam’s selected-response section. They are also encouraged to utilize a study guide to familiarize themselves with the more general and abstract fundamental art concepts that appear on the exam. Many participants in the test have found success by using a combination of Mometrix Test Preparation’s proprietary study guide and set of study flashcards in this manner.